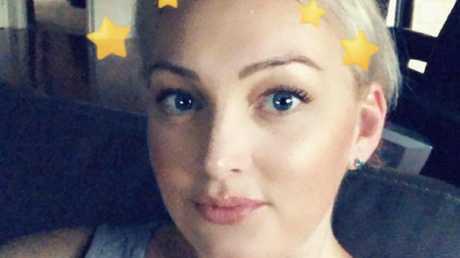 SUBCONTRACTORS and new home clients are counting the costs after another Gold Coast builder collapsed this week. 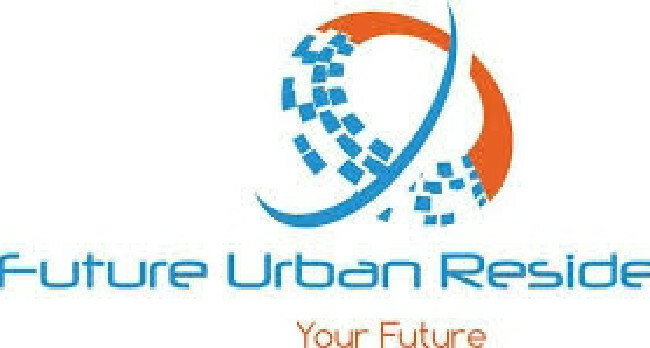 Future Urban Residential, a Varsity Lakes-based business, went into liquidation late on Monday, leaving homes unfinished and subbies bills unpaid. The Queensland Building and Construction Commission is investigating the collapse and has referred the case to Federal regulator ASIC. Q1 HOMES LIQUIDATOR SUSPECTS "ILLEGAL PHOENIX ACTIVITIES"
Future Urban's sole director, makeup saleswoman Kirsty Thew, was last night yet to lodge any documents showing the scale of the collapse, however the company was licensed to complete up to $12 million worth of work a year. The QBCC suspended Future Urban's licence last Wednesday after complaints from at least two unpaid subcontractors. Ms Thew, and her husband Andrew Thew who worked as general manager of the company, are former employees of Queensland One Homes, which went into liquidation owing more than $6 million. The Gold Coast Bulletin has attempted to contact the couple for a response through their liquidator, by email and at their Mudgeeraba home. Mr Thew returned to his home late yesterday but declined to talk to the Bulletin. The company's website was taken down last week and their phones have been disconnected. Subcontractors' support group Subbies United last night called for people who may be owed money to come forward so the full impact of the collapse could be quantified. 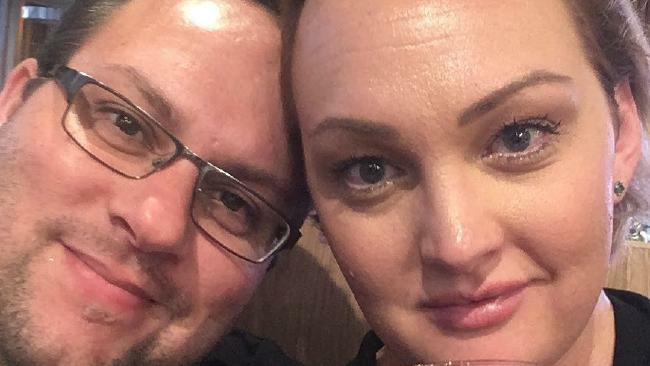 Those hurt in the collapse have been dismayed by social media posts by the couple heading off on a cruise just after Christmas, about the time some clients and subbies say the company stopped paying its bills. Future Urban's licence was cancelled at the company's request on January 30, and was reinstated briefly last Wednesday after Mr Thew became the company's nominee licence holder. The licence was suspended again the same day - but Mr Thew's individual licence was still active last night. 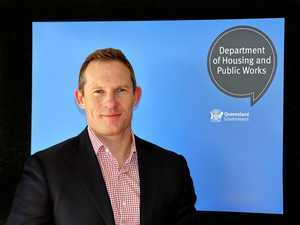 A QBCC statement said it began investigating Future Urban Residential on February 2. 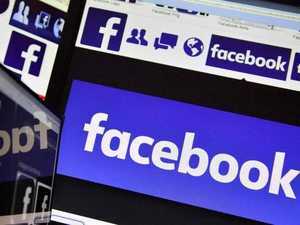 "On February 21 we suspended its licence over concerns it wasn't meeting financial requirements," it said. "As part of our investigations, we have referred this matter to ASIC. "At the time Mr Thew applied for a QBCC licence, he met all the legislative requirements and we had no basis to refuse the application." Kirsty Thew, makeup seller and sole director of Future Urban Residential. The statement said the QBCC had also commenced exclusion action against the company and had contacted potentially-affected homeowners. "If you're a subcontractor and you're not getting paid by a company you've done work for, it's important you let us know - you can do this by submitting a moneys-owed complaint form which is available on our website," it said. John Goddard of Subbies United urged anyone with a potential claim against the company to email him on support@subbiesunited.com.au. "Many of them will feel lost - I can put them in touch with each other and help advise them on where they can go from here." GKirsty and Andrew Thew in their Queensland One Homes uniforms. 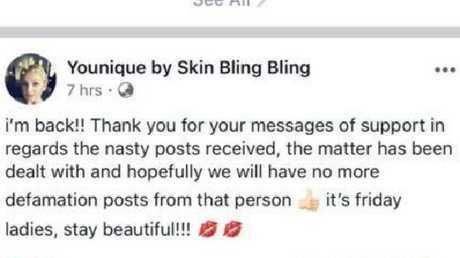 WHEN she's not running a multimillion-dollar building company, Kirsty Thew flogs makeup online for mail order company Younique, posting pouty filtered selfies and getting excited over shimmery eyeshadows. While her husband Andrew is not a director or shareholder of Future Urban, it is his builder licence the company has traded with since its own company licence was suspended last week. The Bulletin has seen multiple emails where Mr Thew discusses accounts and contracts of Future Urban with clients and subcontractors, in some cases with his email signature dubbing him the company's "general manager". The company is owned by Ms Thew, also the sole director, and her 19-year-old son Kyle Thew, an MMA enthusiast who lives in New South Wales. The couple worked for failed Gold Coast builder Queensland One Homes, appearing on their Instagram page. 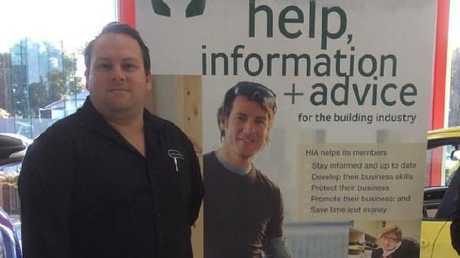 Andrew Thew, when he was construction manager for Q1 Homes. Mr Thew was Queensland One's construction manager - but both have gone to great lengths to distance themselves from that company. 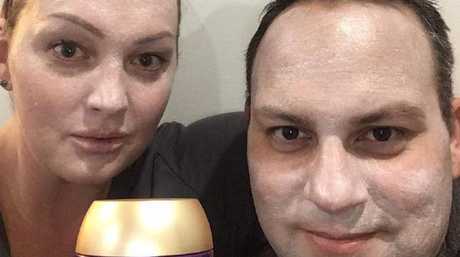 Online, the Thews appear a loving couple, with Mr Thew often making guest appearances on his wife's "Skin Bling Bling" makeup page, trying on face products together and smiling goofily. Just after Christmas, before paying outstanding balances for work done by their subcontractors, the smiling couple paid a visit to Sydney, where they boarded a 10-day Carnival island cruise. 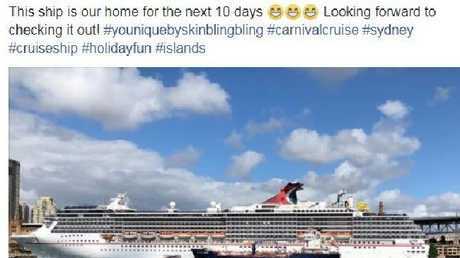 "This ship is our home for the next 10 days," Ms Thew posted to Facebook with a photo of the ship, adding three grinning emojis and six hashtags. "Looking forward to checking it out!" One of Kirsty Thew’s Facebook posts. Earlier in the year, Ms Thew posted another photo of her face to celebrate buying a new luxury car. "Love my Audi! (heart heart heart) What a great night at the launch of the new Q2! 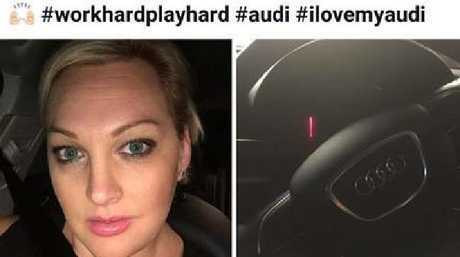 Canapés and cocktails, rubbing shoulders with the GC Titans and meeting some lovely people with my hubby #workhardplayhard #Audi #ilovemyaudi," she wrote. Future Urban director Kirsty Thew. The couple have kept a far lower profile this week - the Future Urban website is dead, their phones are disconnected and there was no sign of Ms Thew at their Mudgeeraba home, purchased in 2015 for $655,000. An elderly man at the split-level house in the quiet dead-end street said the pair would not be coming home yesterday. 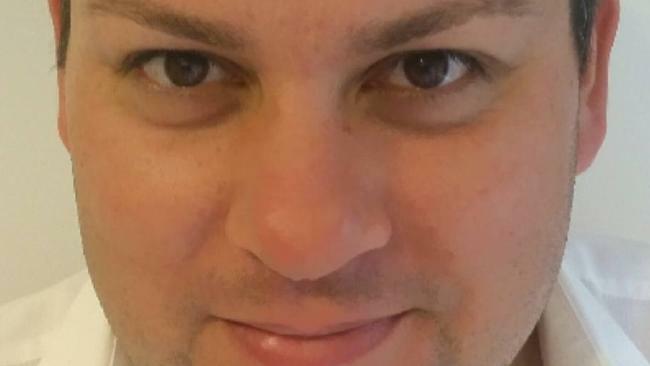 "We appreciate your time, thank you," the man said three times before asking the Gold Coast Bulletin to leave and phoning police as neighbours looked on. 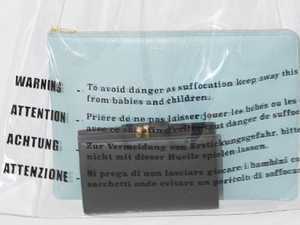 Mr Thew returned to the home several hours later but did not speak to the Bulletin. GOLD Coast subcontractors are once again carrying the can for a failed building company - with local small businesses working for by Future Urban owed at least $750,000 - an amount that's expected to grow sharply once the true scale of the collapse is known. Among them is landscaper Paige, who only wants her first name published, and claims she is owed $41,000 by the company. Paige was wary of dealing with Future Urban as she'd previously been stung in the Queensland One Homes-Empire Constructions debacle and she knew Andrew and Kirsty Thew had previously worked for them. 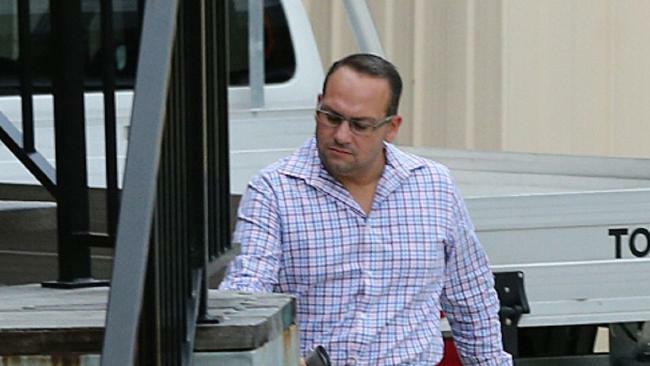 Queensland One Homes director Paul Callender will face a public examination this year after a liquidator found company records had been destroyed by water after being left in the back of a ute. "They told me they used to work for Q1 but didn't like how they operated and that's why they left," she said. 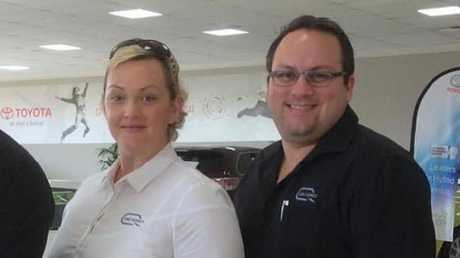 "(Ms Thew) assured me that they would never run their business like that and everything would be fine. "But for the first couple of invoices, we were chasing payment - we started getting read receipts for our emails and we could see when we were chasing payments she was reading the emails but not replying." Andrew Thew dealt with subcontractor claims and signed emails as the company’s general manager. Paige's business had paid its suppliers and, after weeks without reply, Paige finally got a swift phone call and email from Ms Thew after telling her she'd made a complaint to the building regulator. "Within two minutes she called me," Paige said. "She left a message saying she understood my frustration. I said `I don't care what you say, I'm going to the QBCC'." Plumber Garret Waller says he is owed $17,000 by Future Urban, for two jobs done this year. 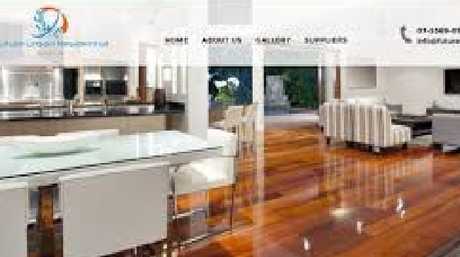 He said he'd submitted a quote for work on a 10-unit project in Brisbane by Future Urban just last week. "We don't usually do work for the smaller builders," he said. "I don't think we'll get that money back." Future Urban Residential’s website was shut down last week. THE Sorrell family are supposed to be living in this home - instead they're stuck outside its unfinished shell wondering how it all went so wrong. 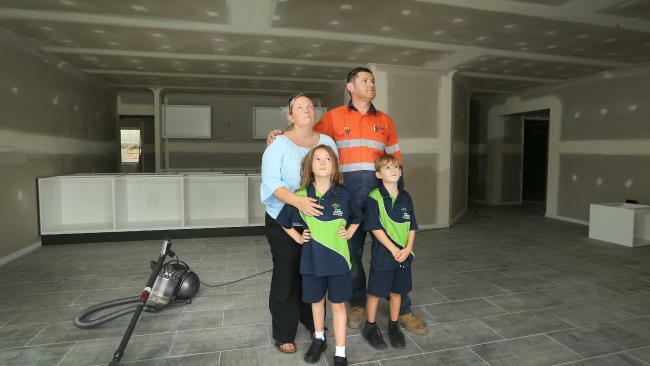 Kristi and Martin Sorrell planned to move their two young kids to the Gold Coast from Brisbane - and changed schools this year so they could start fresh in their new Future Urban Residential home at Ormeau Hills, which was due for completion two weeks ago. But instead of moving in, the family has had to stay on at their Brisbane rental, leaving Ms Sorrell to ferry the kids to their Gold Coast school each day, before returning to Brisbane for work and coming back to the Gold Coast in the afternoon to pick them up. They have no idea how long they will have to carry on like this - paying for fuel for the daily drives and still paying rent after shelling out almost $250,000 for a home they can't live in. 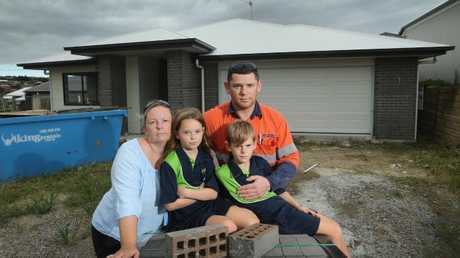 The family is among many stung by failure of Future Urban Residential - the latest in a string of Gold Coast builder collapses. Like other clients of Future Urban, the Sorrells trusted its operators Kirsty and Andrew Thew to deliver what they promised, so handed over progress payments as they were due. No work has been done on their new home since before Christmas. "This was our first time building a home - and we were in the dark most of the time," Ms Sorrell said. "We had no access to the site supervisor and they promised fortnightly updates by email and we never got those. "We had to constantly ask them and we got fobbed off all the time." Ms Sorrell said Ms Thew had contacted her just before Christmas demanding a $59,000 payment so that Future Urban could pay their tradies. 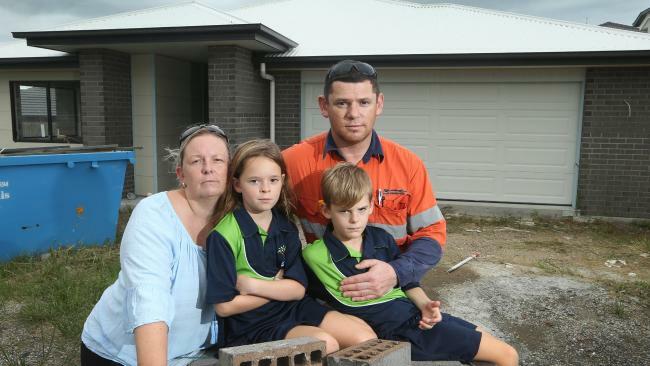 "I got it paid straight away so she could pay the tradies before Christmas - but I saw one the cabinet-maker at the site and he said he hadn't got a cent," Ms Sorrell said. "We're just continuing to pay rent. When we found out their building licence was suspended we called their mobiles and they were disconnected."